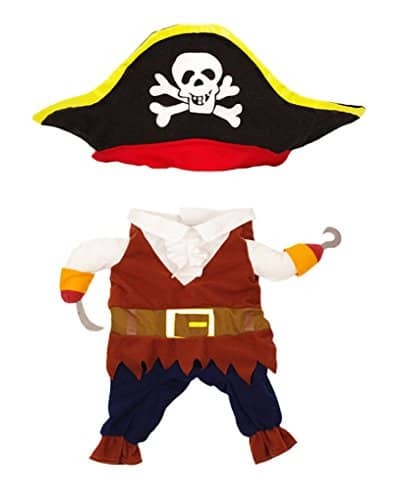 The dog costume made of polyester and non-woven fabric, soft and breathable. 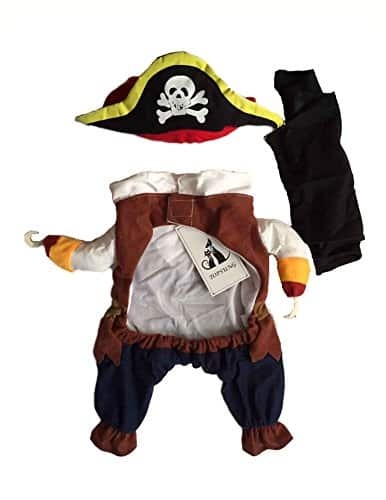 This cool pirate costume, dog costumes for halloween design turns your pet into a humoristic caribbean pirate. 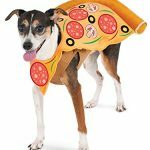 The halloween costumes for dogs are worth it for the laughs! 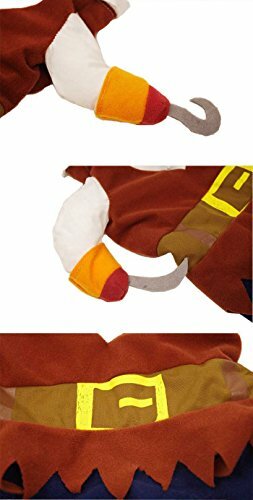 This small dog costume makes a great gift for the holidays and for entertainment. 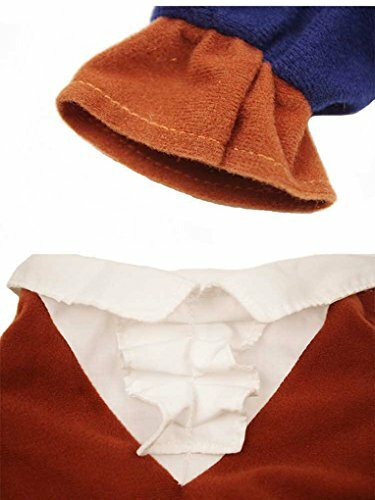 This designer pet outfit will bring both style and comfort to the little member in your family. Categories: Cats, Costumes, Pet Supplies. 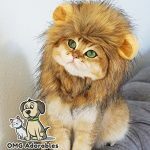 Puppy halloween costumes are perfect for Everydays Wear, Weekend Parties, Halloween, Christmas, Birthdays, Weddings, Parades, Photo Shoot or Play date. Please check with the size carefully so that you won’t get the wrong size. 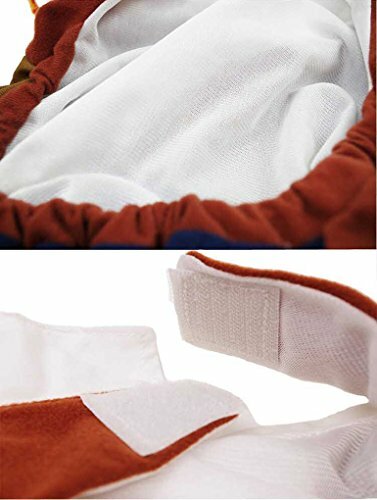 L:Height:11",Neck Girth:14", M:Height:9", Neck Girth:13", S:Height:6", Neck Girth:11", XL: Height:14", Neck Girth:19"
Amazon.com Price: $4.73 $3.78 (as of 21/04/2019 16:45 PST- Details)	& FREE Shipping.